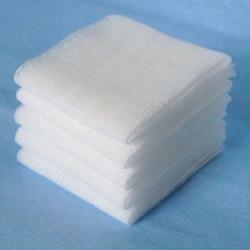 Prominent & Leading Manufacturer from Mumbai, we offer gauze swab, gauze balls, ward gauze and gauze and cotton tissue. We are leading manufacturer of Gauze swab. 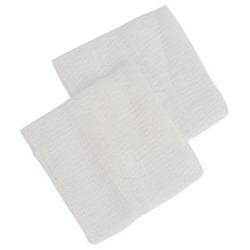 We offer best in class OT / Ward / Ro Gauze that are widely used in hospitals for general wound dressing and cleaning purposes. 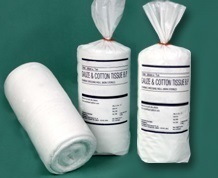 Manufactured from high quality gauze, these products offered by us are known in the market for their optimum absorbency. These offered products are available with us in all the standard sizes. 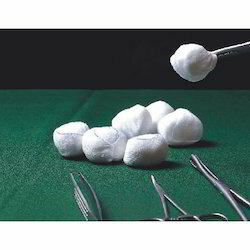 We provide our respected clients with an excellent range of Gauze Balls, widely used in hospital, clinics and other medical sectors. Our offered range is precisely fabricated by our truly skilled workers and adept professionals using updated techniques and non-toxic material in adherence to industry defined guidelines. Further, these products are strictly tested under the vigilance of our quality controllers before the final delivery from our end. With our vast domain expertise, we are offering high quality Ward Gauze that is well-known among clients all across the nation. Widely used to control bleeding, these can also be availed by clients from us in various customized options. These products are processed using premium quality cotton and sophisticated technology at our high developed manufacturing unit. Our offered products are getting admirable appreciation from clients owing to their high effectiveness and softness. Gauze and Cotton Tissue of plain weave, bleached to a good white and free from stains and weaving defects.Absorbent Gauze Cloth Woven from high quality yarn.Convenient for cutting to desired sizes. Gauze pad for packing open wounds. Looking for Gauze Balls ?